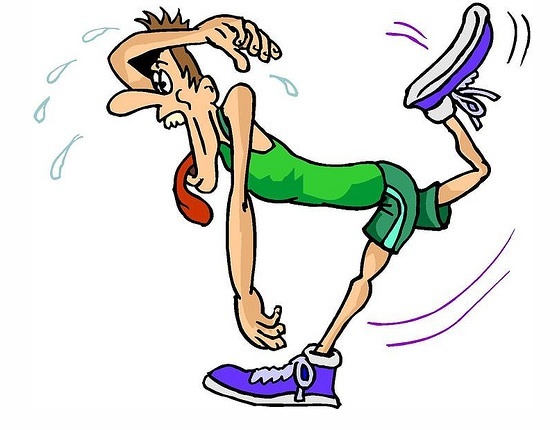 According to the countdown, I have 3 days, 14 hours, 4 minutes, 49 seconds… and counting… of time left before I pulverize my body by doing my second marathon. And I want you all to watch. I have decided this year I will Tweet my entire marathon experience. This will allow my followers, you, to track my distance and time. And, if you so desire, meet me at the finish line. The finish line is at the end of the Queen Elizabeth Parkway beside Confederation Park. There will be thousands of people there, you can’t miss it. So, if you like pointing and laughing at runners from the comfort of your own home, visit my Twitter page and follow me as I curse my way to the finish line. Honestly thought, I am truly passionate about running and although this may be the second hardest thing I ever have to do (the first being my first marathon), I will do so with a smile, because that is who I am… a crazy runner. 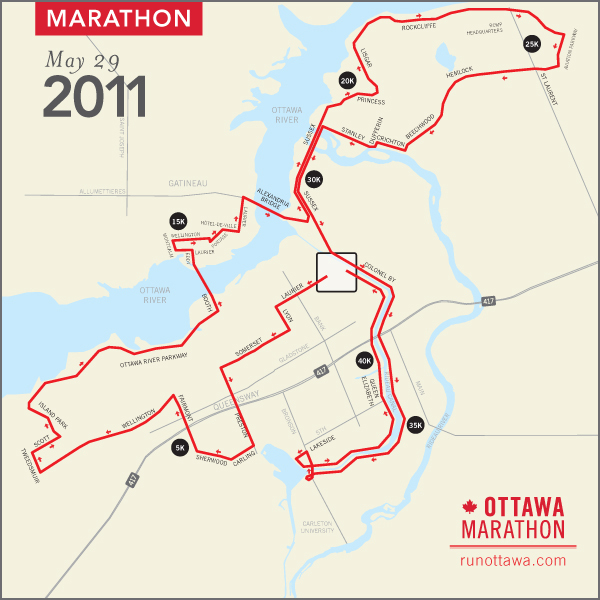 For those of you who don’t know, a marathon is 42.2 kilometres. Last year, I pulled a muscle and it took me 5 hours and 15 minutes to complete the marathon. Yes, you read that right, I ran/limped for 5 hours. This year I am crossing all my fingers and toes in hopes that I have learned my lesson, listened to my body and won’t have any injuries during the race. I want to take this opportunity to thank everyone who has encouraged me this past year to keep training. And a very big, enormous thank you and applause to my mother, Michèle Simpson, who will be running by my side the entire way. It runs in the family (pun intended). That is right, 20 years later and I am still holding my mommy’s hand. This entry was posted in PR Word of the Week and tagged Ottawa, ottawa race weekend, run, running, runottawa by Kristine D'Arbelles. Bookmark the permalink.